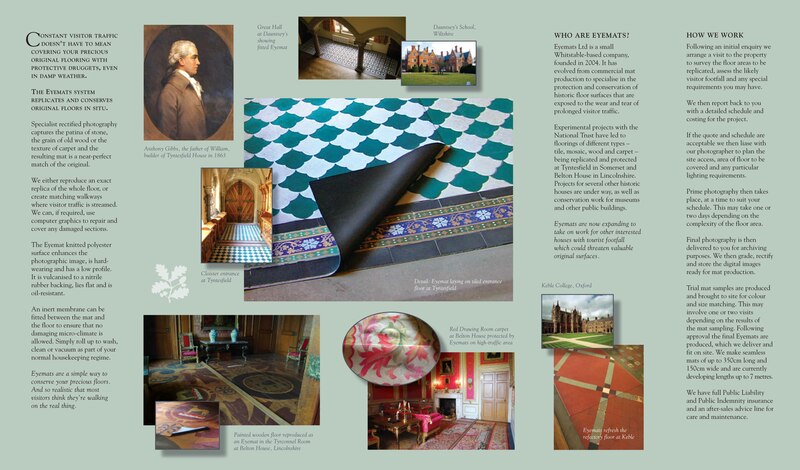 At eyemats we can reproduce virtually any of your floor surfaces, in almost any location. We can use your own photography (as long as the quality is up to the latest specification for digital photography & printing). Or use one of our own bank of floor images. Or we can use our own photographers to take images of your floors for reproduction. We can store your images long term giving you a "snap shot" of your historic floor. What type of flooring we can reproduce our images onto? 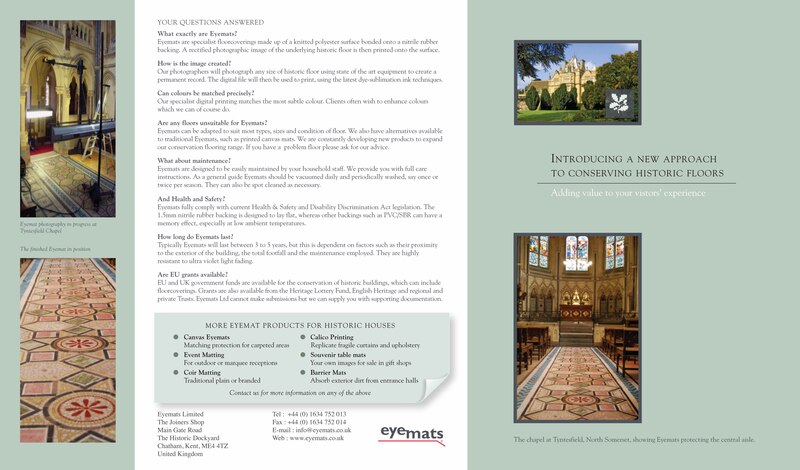 Our Traditional and Original eyemat range of rubber backed floor mats. Canvas made up to make "one piece, replica" carpets. We can cover virtually any floor size and shape. All mats can be easily cut to fit awkward shapes. What type of floors can we help with?